On behalf of admin of JML Law, A Professional Law Corporation posted in Car Accident on Saturday, Nov 25 2017. Thanksgiving and the ensuing Christmas and New Year period are hot spots for road trips. Families hop into their cars to travel hundreds of miles to visit their families and spend precious evenings eating turkey with stuffing, enjoying champagne and singing Carol of the Bells. In fact, going on a long road trip is one of the most fun experiences for a family during the four-day Thanksgiving weekend. But it’s also one of the most dangerous ones. 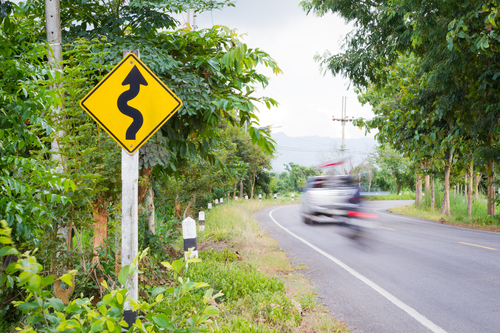 Whether you’re planning to go on a road trip this holiday season or are a regular road-tripper who embarks on a road trip across the country, our car accident attorney here at JML Law warns you: traffic accidents are more likely during road trips. And it makes perfect sense. During long road trips, drivers can feel exhausted but tempted to keep going to reach their destination despite the unbearable fatigue. This can not only be deadly to the driver, but also put the lives of his passengers – likely family members – at risk. Not to mention that families that go on road trips oftentimes drive through unfamiliar areas and roads and face different (unpleasant) weather conditions that maximize the risk of getting into a car accident. It seems that going on a road trip in Long Beach and elsewhere in California today is as dangerous as never before. Increased car mileage combined with the ever-growing number of speeding, drunk driving and other risky activities on the road contribute to tens of thousands of road traffic fatalities in the U.S. every year. Fact: in 2016, as many as 40,000 people died in car accidents across our nation, a 6% rise from 2015. Fact #2: 2016 was the deadliest year on U.S. roads since 2007. Car accidents in Long Beach and elsewhere in California are on the rise every year, which means going on a road trip may be a risky endeavor, especially during Thanksgiving and the holiday season. Even though Long Beach police sets up an increased number of roadblocks around Thanksgiving, Christmas and New Year, to arrest drug and alcohol-impaired drivers driving under the influence, the number of DUI-related traffic accidents on the roads of Long Beach are still extremely high during holidays. While statistics shows that you’re more likely to go on a road trip during holidays, this means your risk of getting into a car accident substantially increases. What to do in a car accident during road trip? Here at JML Law, our car accident attorneys realize that there is always a risk of getting into a car crash during a road trip even if you take all the safety precautions. However, don’t make the most common rookie mistake that most road trip travellers make: don’t call your car insurance company before consulting a car accident lawyer. The thing about car insurance companies is that they’re not willing to give out compensation for your damages easily, which is why the second they find out you were on a road trip, they will most likely attempt to convince you that you were responsible for the crash, as you were fatigued, and minimize your compensation. Our Long Beach car accident attorneys will investigate your particular case and give you your best course of action to negotiate with the car insurance company like a pro (and win the compensation that will make you and your family happy). Let our car accident lawyers at JML Law help you forget about that traffic accident during your road trip. We will help you enjoy your holidays by offering our professional legal representation. Call JML Law at 818-610-8800 today or send an email to get a free initial consultation.